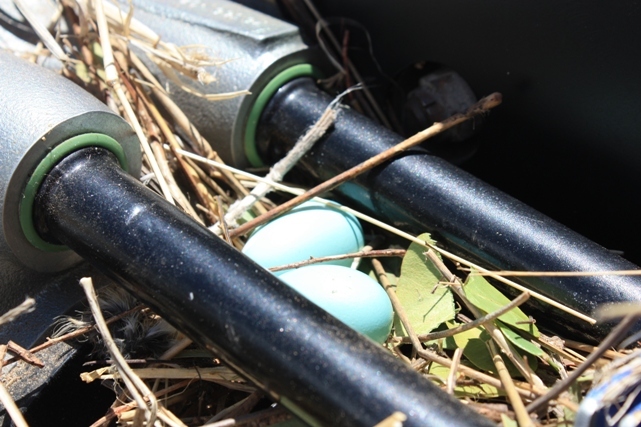 Home → Flight training → Your engine is now a birds nest! In December, my fiancé and I took a trip in ZS-SCE through South Africa and Botswana. Our intention was to travel as far as Lusaka, Zambia before making our way back. Unfortunately, the weather in the region was poor at the time, with a low cloud base and showers forecast along our route to the North. 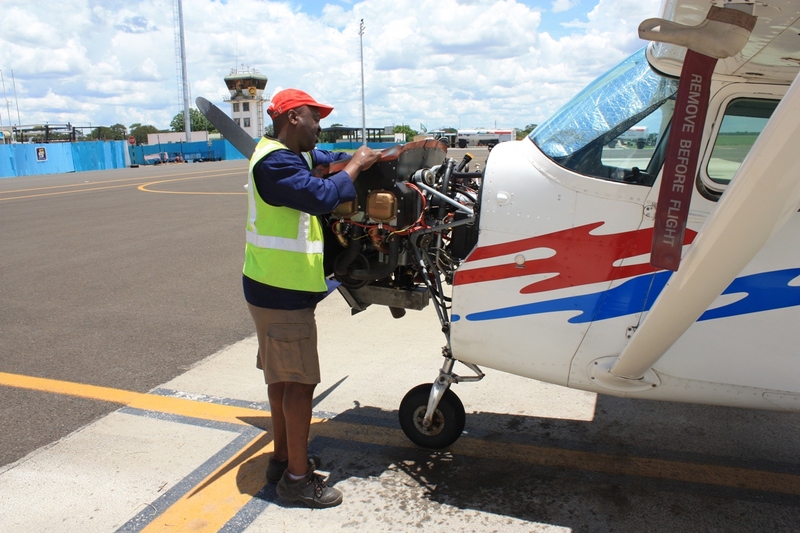 Deciding it was unsafe to fly for the next few days, we parked and secured the aircraft at Kasane International airport, Botswana and travelled by road for the next 4 days. We returned to the aircraft late morning a few days later for the next leg of our trip to Maun. After my initial walk around the aircraft, everything appeared to be in good order. I loaded our bags and began my pre-flight. Coming around to the cowling, I noticed a few blades of dry grass at the bottom on the inside. Reaching in to pull them out, I quickly realised there were more than just a few blades of grass. I removed several hands full worth of grass and twigs over the next few minutes making sure to get every last bit out. After I was done, I checked the other areas of the cowling and noticed what looked like more grass on top of the engine. Once again I reached inside, and it was clear that what I had already removed was only the beginning. The top of the engine was completely covered in grass and twigs. Fortunately I managed to get an aircraft engineer to assist since the cowling would clearly have to be removed. He spent the next hour and a half removing grass by hand and with pressurised air from a generator. We also found a total of 5 small birds’ eggs. Once satisfied that all the grass had been completely removed, and that the engine and wiring had not been damaged in any way, the cowling was put back on. I completed the rest of my pre-flight and departed safely to Maun. Never skip or rush your pre-flight. The engineer who assisted us said he hadn’t seen anything like that at the airfield before. The bird had likely began making its nest the first day we left the aircraft there as the engine was still warm and the cowling provided a safe dry location for its nest. If we had not seen the nest and taken off, we would likely have had an engine fire during flight. Fortunately we saw it and were able to continue our trip safely which ended up being a very enjoyable journey. Stay safe, and happy flying everyone!